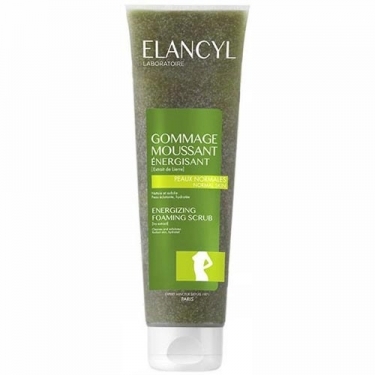 Gommage Moussant Énergisant from Elancyl is a gel-cream, which helps to gently exfoliate, while providing a draining and toning effect to the skin. 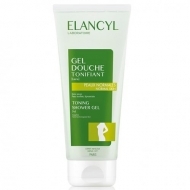 Its gel-cream texture, with a mild cleansing base, ivy extract and microspheres, provides an exfoliating, refining, purifying, draining and toning cleansing action. The skin becomes smoother, softer and brighter. 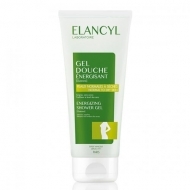 Complete Formula: Water, Sodium laureth sulfate polyethylene, Acrylates copolymer, Alcohol, Blue 1 ( CI42090), Cellulose gum, Citric acid, Disodium EDTA, Limonene, Methylisothiazolinone, Peg-200 hydrogenated glyceryl palmate, Peg-7, Glyceryl cocoate, Phenoxyethanol, Sodium benzoate, Sodium chloride, Sodium hydroxyde sorbitol, Yellow 5 ( CI19140). Apply 1 to 2 times a week on wet skin with a gentle massage in a circular motion;Rinse thoroughly.